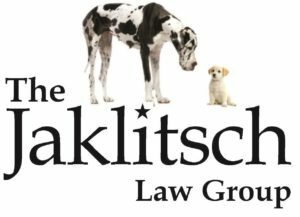 The Jaklitsch Law Group staff enjoys helping our clients as well as giving back to the communities we serve. In the past several months, staff members have been busy volunteering with a variety of groups. The staff of the Jaklitsch Law Group spent some time Tues, May 19 stocking shelves and filling bags at the Southern Maryland Food Bank. In December we collected items for the annual Marine Corps Toys for Tots toy drive. We collected gently used clothes and donated them to the Odenton’s Nichols-Bethel United Methodist Church Christian Assistance Program. In November the Southern Maryland Food Bank was in need of donations, so we put together some boxes and food and delivered it to them. Around Thanksgiving we donated gas cards to the Fisher House in November. The Fisher House helps meet the needs of injured personnel returning from Operation Enduring Freedom. In November, several staff members supported the Jug Bay Wetlands Sanctuary by participating in the 19th Annual Run for Wildlife 3K Fun Walk. The event raises money to support conservation projects and research aimed at preserving the Patuxent River’s natural wildlife. In October, we wore pink in honor of Breast Cancer Awareness month and collected money to donate to “Breast Friends Forever” a group on the Eastern Shore raising money for three friends currently battling breast cancer. So local kids started the school year off right, in August we donated backpacks and school supplies to students at Barrack Obama Elementary School down the street from our Upper Marlboro office. In July, we did one of our favorite things: we welcomed troops home from overseas at BWI Airport. That afternoon, approximately 600 members of the military and their families were greeted. Operation Welcome Home is a year-round program that organizes volunteers to greet service members as they return to the states. The organizers make sure folks are there to welcome flights at all hours, they collect donations for and distribute snack bags to the military personnel. This spring the Jaklitsch Law Group staff participated in the MS Walk in Annapolis for the third year in a row. We were one of the first to donate to the newly formed Friends of Anne Arundel County Animal Control. We helped celebrate National Library Week by participating in the Prince George’s County Circuit Court Law Library book drive last spring. The staff collected books and gave them to the law library for Operation Paperback. This is a non profit organization that collects gently used books and sends them to American Troops, Veterans, and military families. During the 2013 Christmas season, kids and cousins of some of our Jaklitsch Law Group staff made “thank you for your service” cards and donated them to the Red Cross for its Holiday Cards for Heroes program. The Red Cross takes care of getting the cards to the military folks. In December, we donated Christmas presents to a needy family in Upper Marlboro. Our thanks to our next door neighbor, The Union United Methodist Church on Old Marlboro Pike for its assistance in getting the gifts to the family. The staff enjoyed some bingo with the residents of the Calvert Nursing Center on April 20. We also collected clothing and household items for the St. Michael’s Clothes Closet in Brandywine. Of course we didn’t forget our pet friends at Christmas. We happily made a donation of food and supplies to the Tri-County Animal Shelter in Hughesville. In November, the Jaklitsch Law Group staff showed its support at the Jug Bay Wetlands Sanctuary (our neighbor in Upper Marlboro) by participating in the 18th Annual Run for Wildlife 3K Fun Walk. The proceeds from the event go to support the projects, research and education in the Patuxent River watershed. We were also proud to donate to the GJ Dance Studio in Waldorf which sponsored a 6-hour iDance4aCURE dance marathon and raised more than $5,000 in donations. Combined with 10 other studios who participated, the dancers raised $70,000 for Pediatric Cancer Research. Maryland vs. Hunger fight in May. In June, members of Team Jaklitsch participated in the 5th Annual Josh’s Ride to raise money for the Huntingtown Volunteer Fire Department. It is a memorial motorcycle ride through scenic southern Maryland to honor of Josh Fabrican te who died in a car accident in 2006 at the age of 20. The staff enjoyed playing bingo with residents of the Calvert Nursing Center in Prince Frederick. We contributed to Jacob’s Ride to raise money for and awareness of hearing loss. – here is an article about Jacob’s Ride. The Jaklitsch Law Group staff their families participated again in the Jug Bay Walk/Run to raise money to support the projects, research and education of the Patuxent River Watershed. The Jaklitsch Law Group Staff donated and helped bag groceries for families in need at the Southern Maryland Food Bank in October.